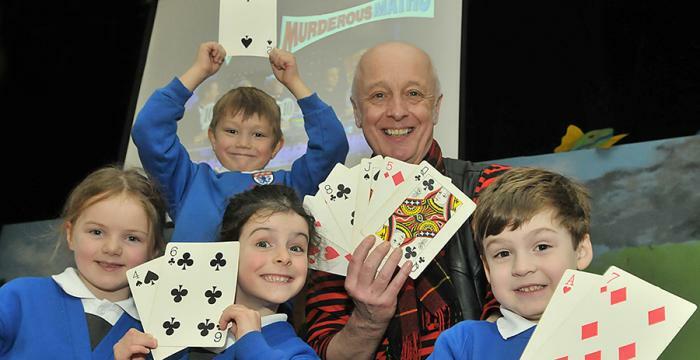 Kjartan Poskitt introduces you to the people who really did put the Murder into Maths! He’ll also be showing off some amazing tricks and weird facts including how to make a dragon from a cinema ticket… “but NO NASTY SUMS – guaranteed!” he says. “A stand-up maths routine has children and teachers in fits of laughter…” The Times Educational Supplement. Suitable for the whole family.